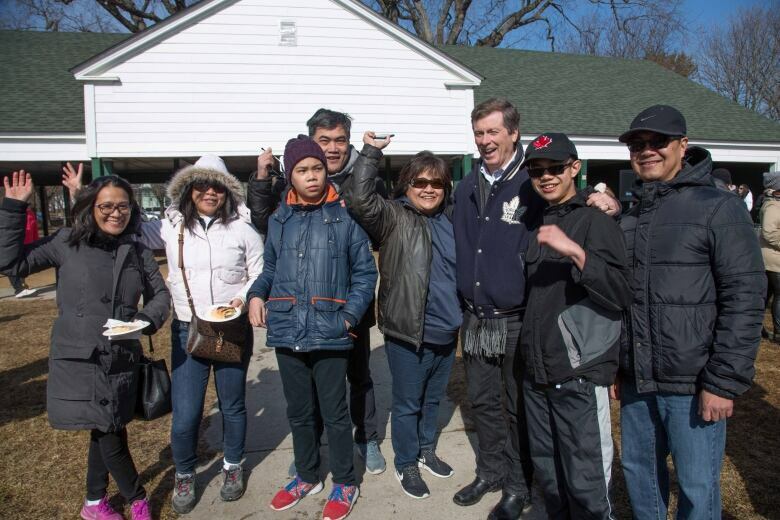 Toronto Mayor John Tory officially launched eight temporary art works on Monday that transform lifeguard stations on beaches in the city's east end. Toronto Mayor John Tory officially launched eight temporary art works on Monday that transform lifeguard stations on beaches in the city's east end into playful structures. 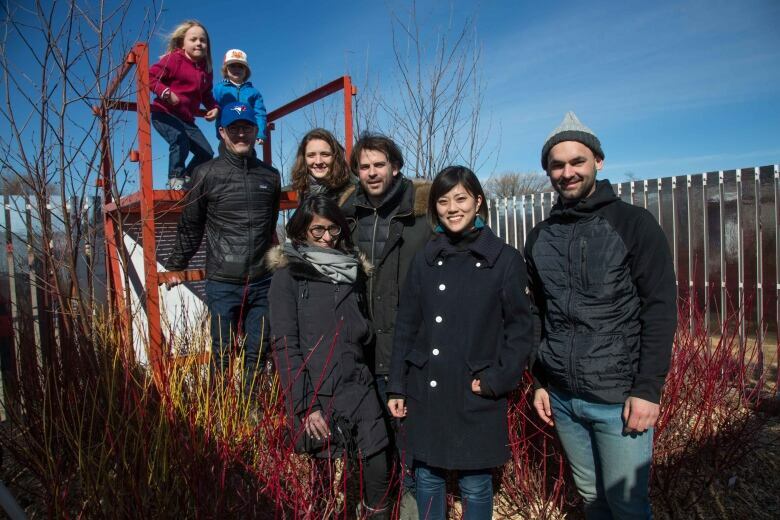 The Winter Stations Design Competition, now in its third year, features art installations that celebrate the city's winter waterfront landscape. Hundreds of people flocked to the beach for the official opening on Family Day. Tory said the Winter Stations are a "great thing" for Toronto because they give residents a reason to go to the beach in the winter. The art installations are helping to make Toronto "winter friendly," he said. The mayor said Toronto is a great city because of its artists and the Winter Stations are proof of that vibrancy. "This celebrates artists from here and from abroad," he said. "It allows part of the soul of the city to come out." He said the installations are bringing people together and when people talk about Toronto being a liveable city, they are referring in part to the arts. "We embrace artists. They allow our city to express itself. They allow us to celebrate things like this. They even allow us to be happy outside in the winter looking at creativity." Five of the designs come from international and local artists, designers and architects, selected out of hundreds of submissions. The other three are installations from students at the University of Toronto, University of Waterloo and Humber College. Rob Shostak, one of the creators of an installation titled BuoyBuoyBuoy, told CBC Toronto the piece is designed to spark childhood memories. He said he means specifically "their memories of water, summer camp as a kid, swimming lessons as a child, going on vacation." Joao Araujo Sousa, one of the creators of The Beacon, came from Portugal to take part. His cone-shaped piece projects a ray of light into the sky at night. "The inspiration behind it is that of a lighthouse at the beach," he said. The theme for the third year is "catalyst," with artists and designers asked to consider their submission as a catalyst for change and to think about how materials may be reused in future artworks. 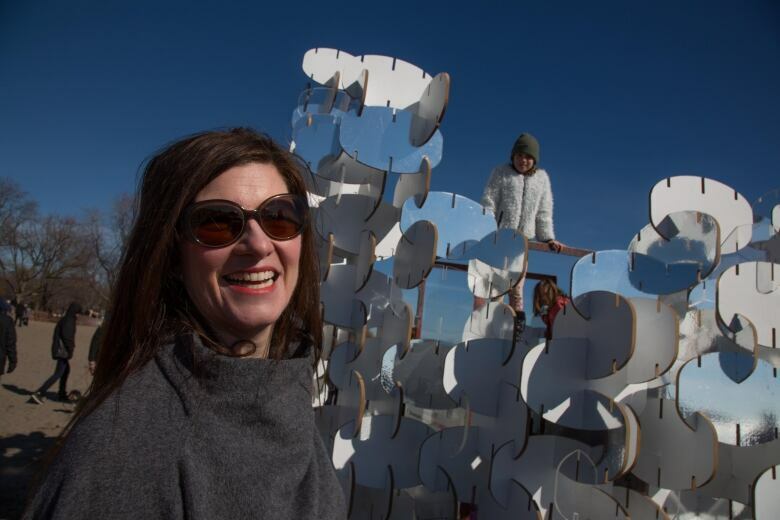 Lisa Rochon, design jury chair for Winter Stations, said in a recent news release that the artworks are "gutsy" and "lyrical." "Visitors will be able to touch and feel their way along the beach, experiencing luminous shelter from the wind, warming waters for their feet, and designs that celebrate the Canadian nation of immigrants," she said. 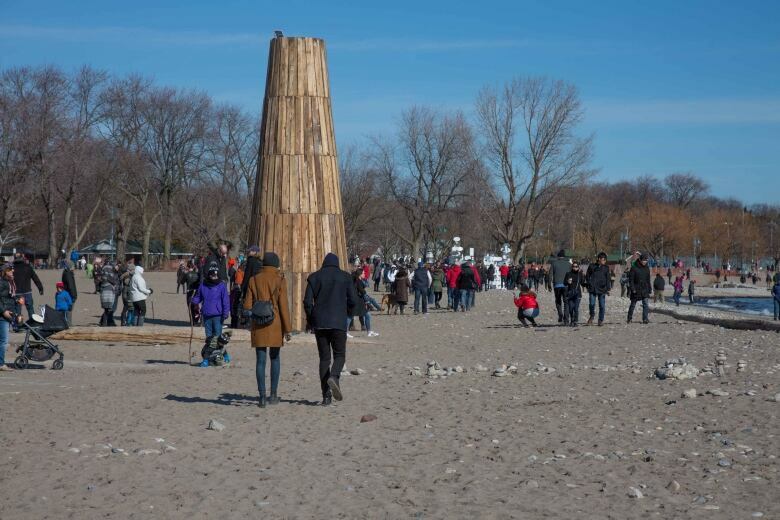 Founded by RAW Design, Ferris and Associates, and Curio, the Winter Stations Design Competition began as a way of using design to inspire Toronto residents to visit the beach in the winter. The Winter Stations will be open to the public starting Family Day and can be seen until March 27.